Jones Paint & Glass offers window coverings from a wide variety of suppliers in order to ensure that you have a one-stop-shop for all your window covering needs. Whether you’re shopping for plantation shutters, roman shades, window panels, or roller shades, energy efficient window treatments, honeycomb shades, motorized window shades, or hardwood shutters, Jones Paint & Glass has a massive selection at incredible prices for whatever window treatment you are looking for. Not sure where to begin? 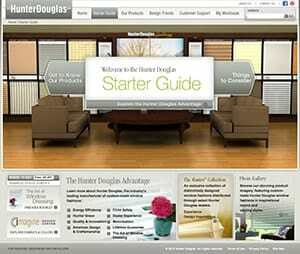 Get inspired with Hunter Douglas’ Starter Guide. Visit our suppliers’ websites by clicking the logos below for design inspiration and to browse their products. Want an expert opinion? Call Jones Paint & Glass for a free consultation, estimate, or for expert advice on the best window covering for your needs.